Learn about NYC's past by riding NYC's public buses in the present. 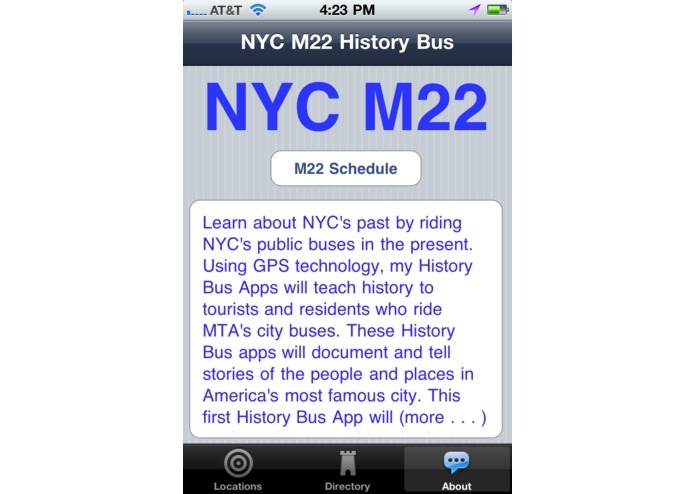 Using GPS technology, my History Bus Apps will teach history to tourists and residents who ride MTA's city buses. These History Bus apps will document and tell stories of the people and places in America's most famous city. 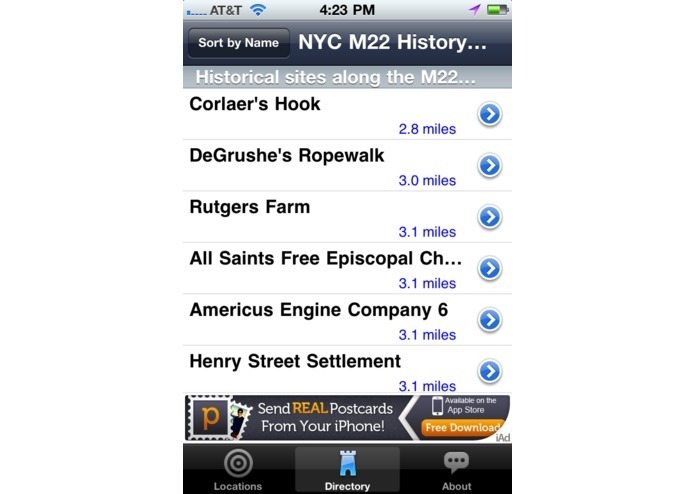 This first History Bus App will explore almost 200 historic sites on the M22 bus route, between Corlears Hook in the Lower East Side and Battery City Park in the Wall Street District. 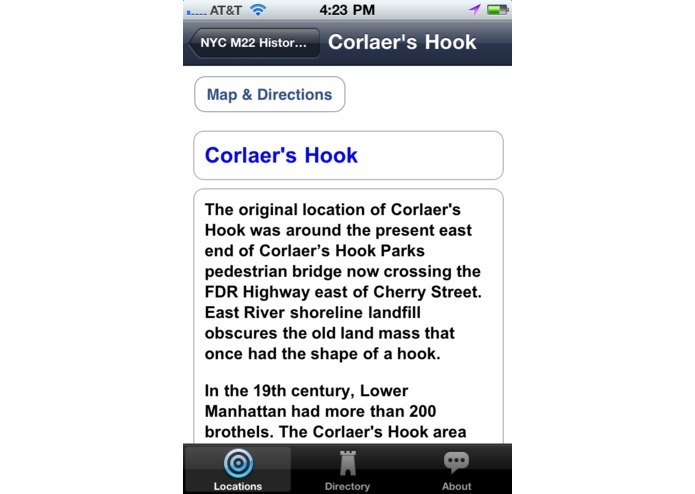 This "Wayback" App would navigate users to enjoy, learn and locate former historic locations in Manhattan. 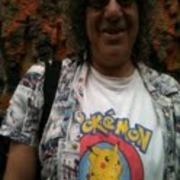 My website www.ny-bus.com highlights some of the historic sites on this App, and also supports small businesses that sell dumplings in the Lower East Side, Chinatown and Little Italy areas. Instead of expensive tour buses these free App's make it possible for users to explore the old NYC with just a swipe of a MetroCard. The historic content of the M22 History Bus covers old alleys, art galleries, banks, bars, bridges, brooks, buildings, businesses, cemeteries, churches, citizens, clubs, districts, farms, firehouses, fires, fountains, gangs, gardens, hills, homes, hospitals, hotels, Indian sites, inns, liberty poles, libraries, markets, memorials, museums, parks, piers, ponds, prisons, restaurants, rope walks, schools, settlement houses, shops, statues, streets, synagogues, tenements, theaters, transit, villages, water works, and other historic sites in lower Manhattan.